Most backup software solves only the third problem. 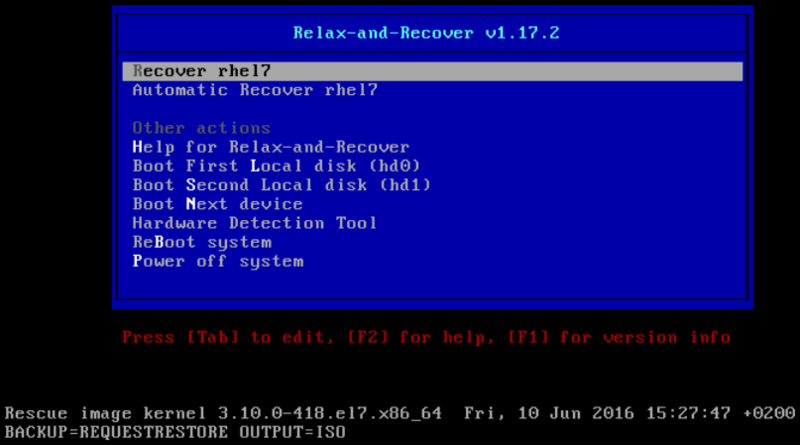 To solve the first and second problems, use Relax-and-Recover (ReaR), a disaster recovery and system migration utility. Backup software creates backups. ReaR complements backup software by creating a rescue system. Booting the rescue system on a new hardware allows you to issue the rear recover command, which starts the recovery process. During this process, ReaR replicates the partition layout and filesystems, prompts for restoring user and system files from the backup created by backup software, and finally installs the boot loader. 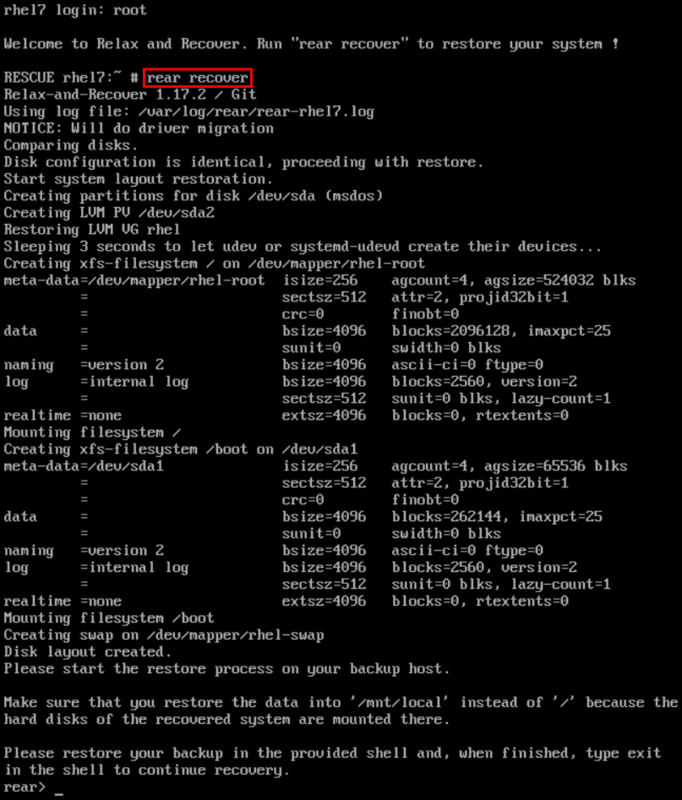 By default, the rescue system created by ReaR only restores the storage layout and the boot loader, but not the actual user and system files. This chapter describes how to use ReaR. Substitute output format with rescue system format, for example, ISO for an ISO disk image or USB for a bootable USB. Substitute output location with where it will be put, for example, file:///mnt/rescue_system/ for a local filesystem directory or sftp://backup:password@192.168.0.0/ for an SFTP directory. See section "Rescue Image Configuration" of the rear(8) man page for a list of all options. Substitute output location with the desired location for the output. Transfer the rescue system to an external medium to not lose it in case of a disaster. Substitute the above command with the cron time specification (described in detail in Section 23.1.2, “Scheduling a Cron Job”). Boot the rescue system on the new hardware. For example, burn the ISO image to a DVD and boot from the DVD. Once you have started recovery in the next step, it probably cannot be undone and you may lose anything stored on the physical disks of the system. Figure 26.3. 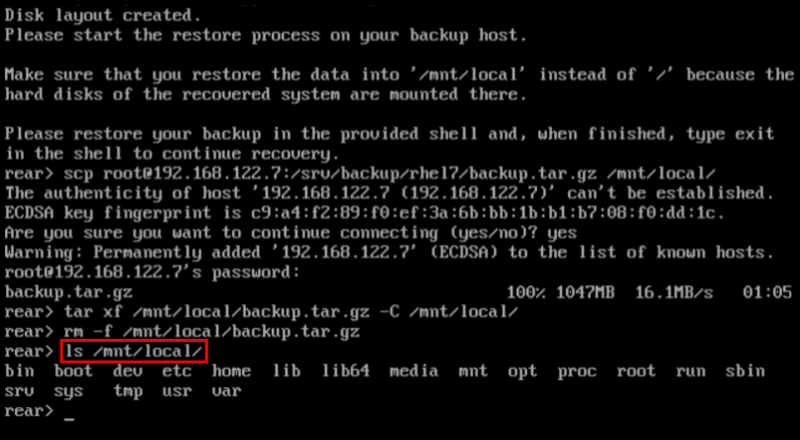 Rescue system: running "rear recover"
Restore user and system files from the backup into the /mnt/local/ directory. The new storage has to have enough space both for the archive and the extracted files. Otherwise you may be unable to log in the system, because the /etc/passwd file may have the incorrect SELinux context. 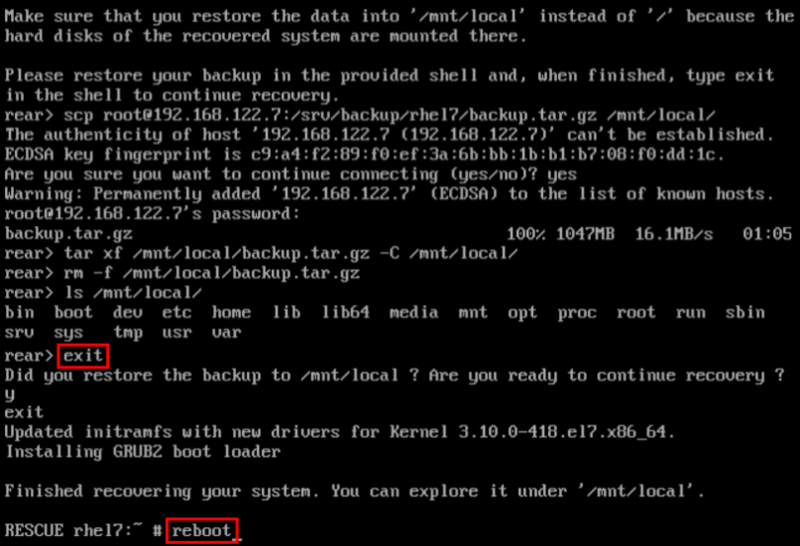 Upon reboot, SELinux will relabel the whole filesystem. Then you will be able to log in to the recovered system.